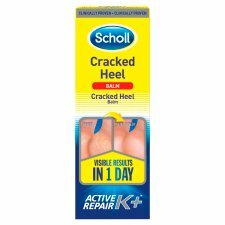 Scholl Cracked Heel Repair Cream Active Repair K+™ moisturises the skin and contains 'active K+'. 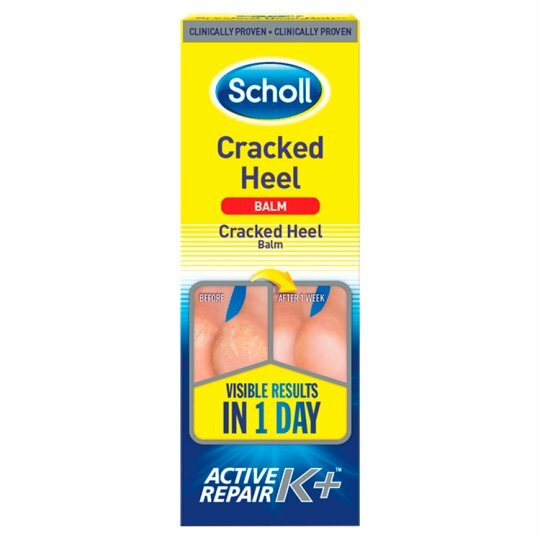 Clinically proven to support the natural recovery process of dry skin. In a study of 214 people 87% of people agreed there was a visible improvement in the appearance of the skin on the heels in just 3 days. Apply daily to clean, dry skin. Once the skin is restored, continue to use as necessary, to maintain condition. Advice: For external use only. Keep out of reach of children. Do not apply to broken, sore or irritated skin. Stop use immediately if irritation occurs. Avoid contact with eyes. 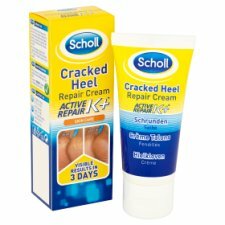 Scholl and diabetes Wherever possible we try to make our products suitable for those with diabetes as well as those without.